It seems that lately there are just very few new alternative coins worth mining and they are getting fewer and fewer. We are still seeing multiple coin launches every day, but the ones that look decent or even worth checking out are getting less and less. 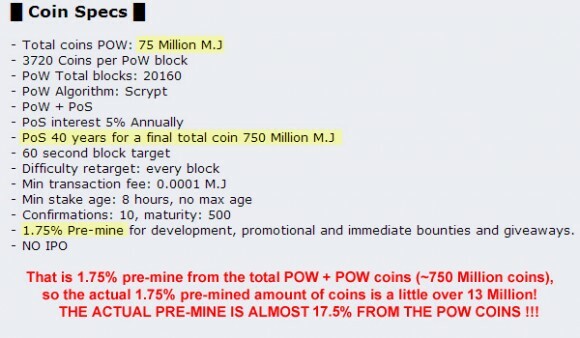 Large percentage for IPO or Pre-mine, no actual reason for a coin’s existence or a plan for development, quick POW phase and then POS resulting in mine and dump as soon a the coin hits an exchange. Not to mention that with many people renting their rigs and selling hashrate you can easily get a lot of hashrate to mine a new coin and then you just want to dump the mined coins with profit and then move to the next new launch. All this is driving away people from new coins, but it will hopefully result in the launch of more reasonable coins taking over… just like how the interest in “country coins” has declined. We need quality and not just quantity, we need innovation in order for things to move on. Now everyone is giving empty (mostly) promises about anonymity, but with Darkcoin not doing so well after the recent boom and new coins not being able to deliver on empty promises about anonymity, this is also getting old. So more and more miners prefer to start selling their hashrate with expected stable profit or to mine in multipools with some extra profit and direct payment directly in BTC to save themselves time and headaches. So what comes up next?